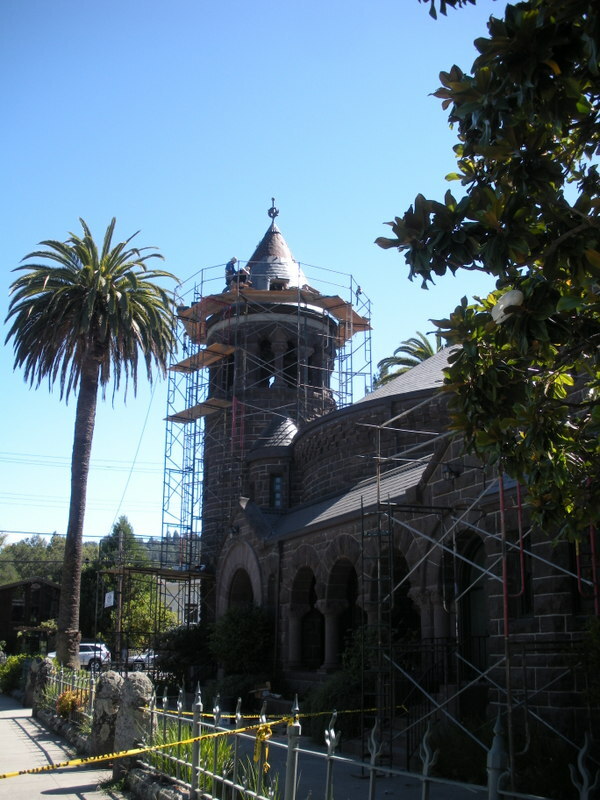 Built in 1897, the Montgomery Chapel was named after wealthy businessman, Alexander Montgomery. It is said; he donated $250,000 in 1889 and another $10,000 in 1891 which was used to build Montgomery and Scott halls. In his Will he also donated another $175,000 to the Seminary. When Montgomery died on November 4, 1893 he was buried at Laurel Hill and then his remains were transferred to the Chapel on April 22, 1897 once the Chapel was completed. Over the years the Montgomery Chapel was a house of worship for several denominations (Judaism, Presbyterian and Greek Orthodox). Today, it is used for lectures, concert venue, bar and bat mitzvah ceremonies and weddings. 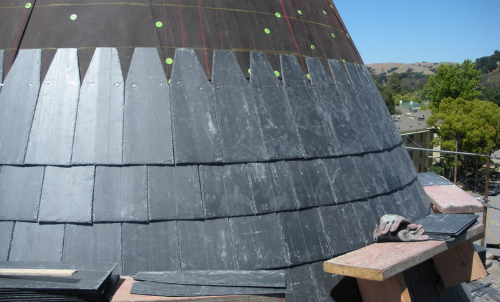 After years of repairs and poor foreign slate quality, the slate roof underwent a replacement in August 2011. 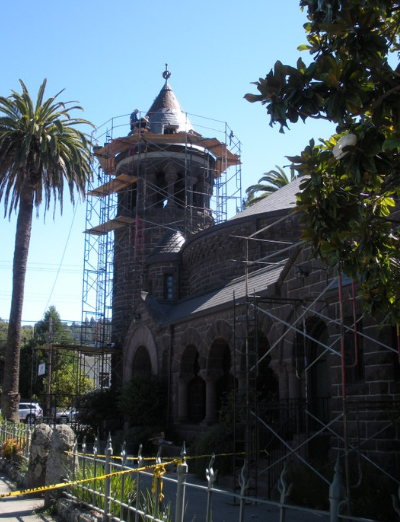 During this time, the Alumni Council Executive Committee managed to save 75 pieces of the original 100 year old roof and printed a permanent image of the chapel with the dedication and repair dates. These pieces were sold to alumni for a minimum $250 each and the money raised went to the SFTS operating fund. 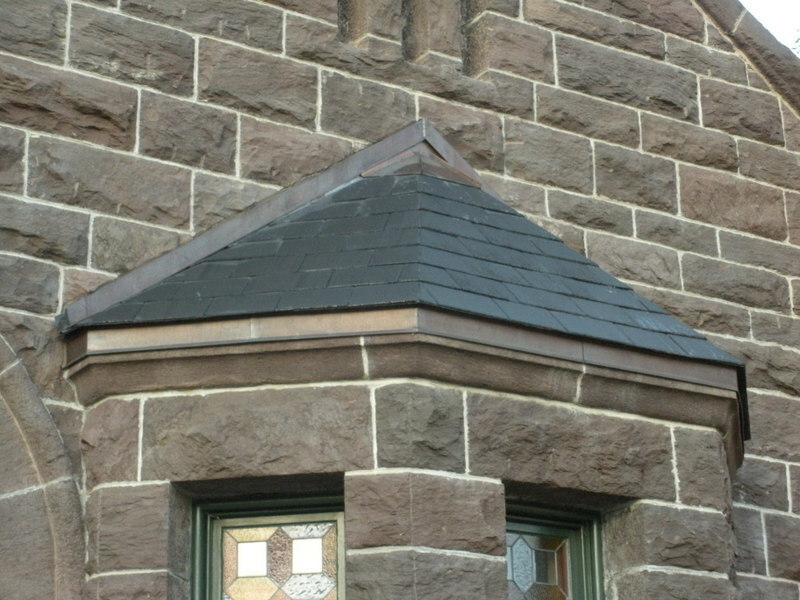 North Country Slate supplied 21 squares of our North Country Unfading Black 18” x random width x 3/16” for the Chapel. 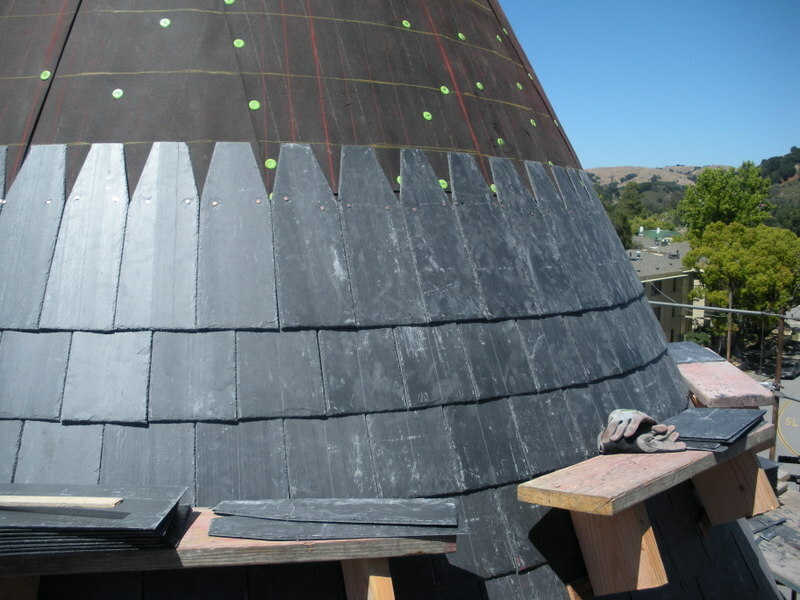 This Canadian slate is rated as an S-1 roofing slate under ASTM C-406. 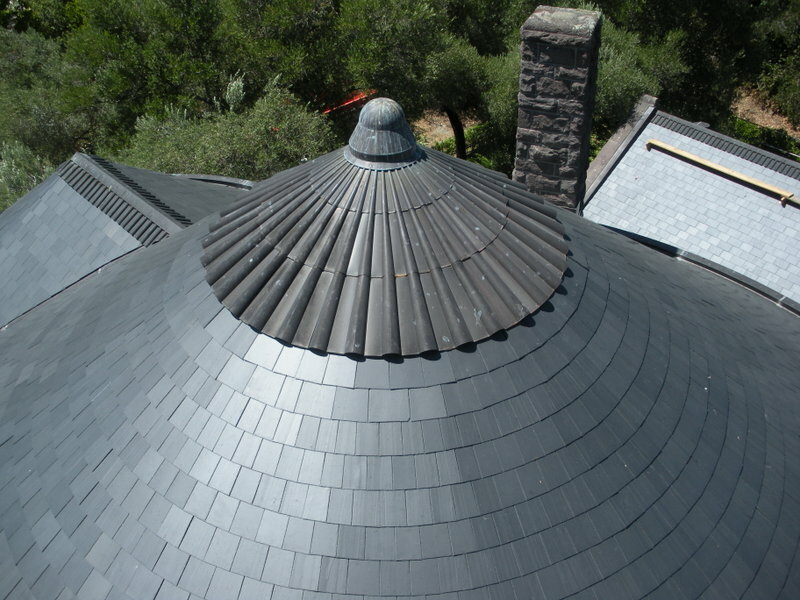 Roofers enjoy working with our North Country Unfading Black because of its smooth texture, consistent thickness, ease to cut and trim, and fully enclosed pallets arriving on the jobsite with virtually zero breakage. 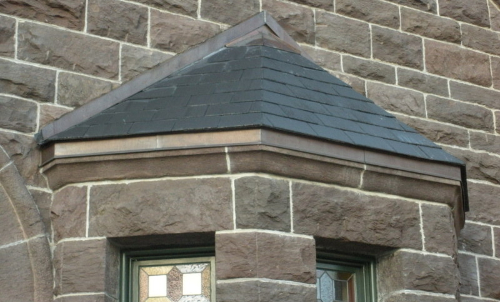 Previous to the Montgomery Chapel, North Country Slate supplied 185 squares of our North Country Unfading Black 20” x 10” x 3/16” back in 1999 on the main building. For more information on our North Country Unfading Black thicknesses (3/16”, ¼”, 3/8” and medium texture) please call us at Toll Free 1-800-975-2835.